Parents United for Responsible Ed. 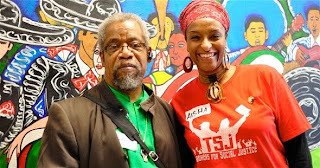 Teachers for Social Justice (TSJ) is an organization of teachers, administrators, pre-service teachers, and other educators working in public, independent, alternative, and charter schools and universities in the Chicago area. We have come together based on our commitment to education for social justice. We are working toward classrooms and schools that are anti-racist, multicultural / multilingual, and grounded in the experiences of our students. We believe that all children should have an academically rigorous education that is both caring and critical, an education that helps students pose critical questions about society and "talk back" to the world. We meet regularly, share ideas and curriculum, develop collective projects, and support each other in our work. 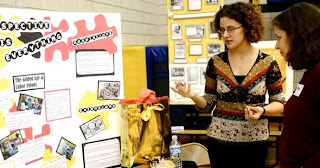 We are also an activist organization, forming and supporting campaigns to get the voices of educators into the public discussion of school policies. 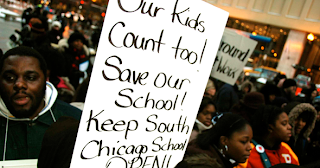 Chicago's one dimensional model of school "reform," based on accountability and high-stakes tests, has been created by the upper echelon of administration without the participation of those affected by the new policies parents, students, teachers. 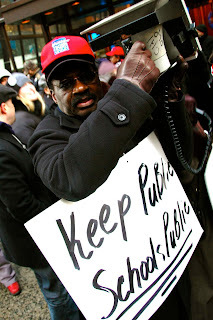 Teachers, who know what is happening in schools and are grappling with the hard questions of educating students in urban contexts, have no voice in Chicago school policies. As educators, we also know that the practices of public and private school teachers who are doing exciting things in their classrooms could be the basis of an alternative to CPSÕs test-driven agenda, but there is no space for open discussion in CPS. The current policies lead by default because public discussion and debate is stifled. 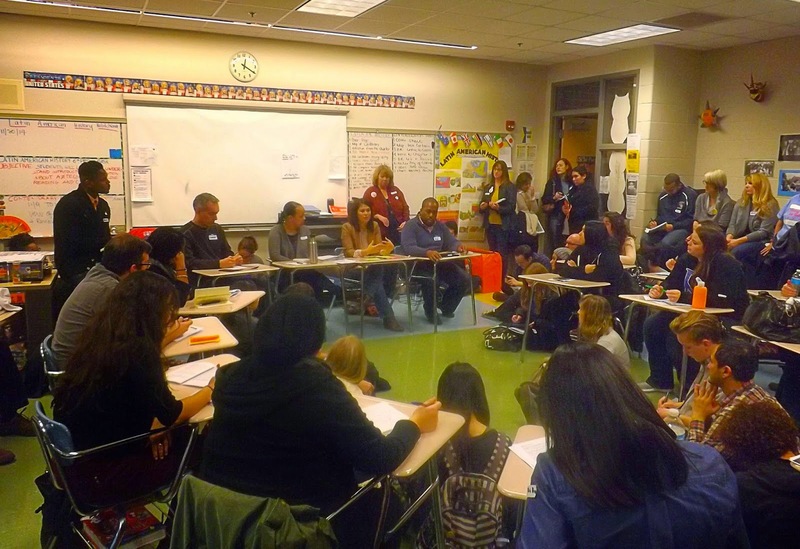 We are committed to working together with other educators, parents, students, and community members collectively to reshape the discussion of school policy in order to create more just and humane schools. Schools must empower students to be decision-makers in their own lives and to become active participants in our society by employing principles of Equity and Social Justice. 1. *Grounded in the lives of our students. 5. *Hopeful, joyful, kind, visionary. 8. *Culturally and linguistically sensitive. 1. Collaborative and flexible curriculum. 2. 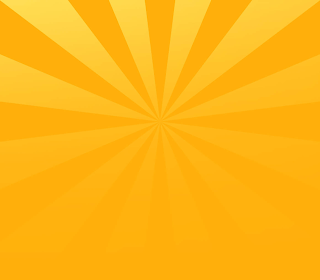 Resources for thoughtful teaching. 4. School must address the whole child. 5. Multiple forms of academic assessment. 1. *Public schools are responsible to the community, not to the marketplace. 2. *Schools must be actively multicultural and anti-racist, promoting social justice for all. 3. *Curriculum must be geared to learning for life and the needs of a multicultural democracy. 4. *All children and all schools must receive adequate resources. 5. *Reform must center on the classroom and the needs of children. 6. *Good teachers are essential to good schools. 7. 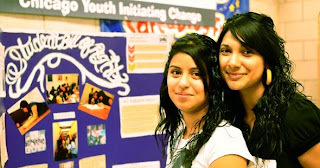 *Reform must involve collaboration among educators, parents, and the community. 8. *We must revitalize our urban communities, not just our schools. 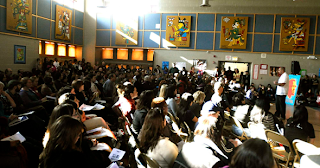 Neighborhood Capital Budget Group's "Critique of R2010"
We also organized two school-based community forums (Kelly HS and Kelvyn Pk HS) to inform and dialogue with teachers about the law and how to organize against it, and we plan to continue this work. We are educators. As such we must recognize and accept our role as either confronting the social, political, and educational inequities within U.S. school settings, or continuing to reproduce the oppressions in our current society. We stand for confronting these inequities. Neutrality is not possible. We understand that teaching is a political act. 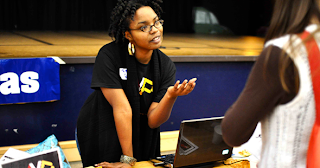 We challenge each other to be activists in and outside of the classroom, recognizing that we are all “works in progress.” Our work may involve social justice curriculum, study groups, educational forums, participation in coalitions and social movements, work with other education for liberation groups, and initiating collective action. 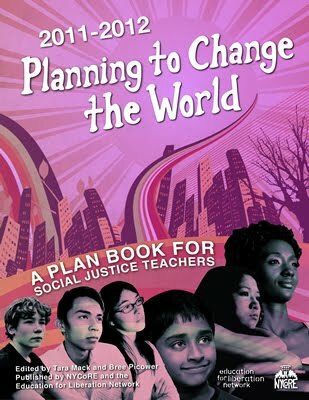 Develop our understanding of the sociopolitical, historical, cultural, and economic roots of social inequality and injustice, and recognize the role of education within this context. 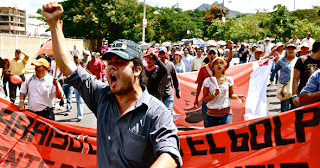 Provide a space for radical teachers to collaborate and share knowledge and to be a vehicle for teachers to become aware of and respond to urgent issues of injustice. Create and promote liberatory educational curriculum, practice, classrooms, and schools. 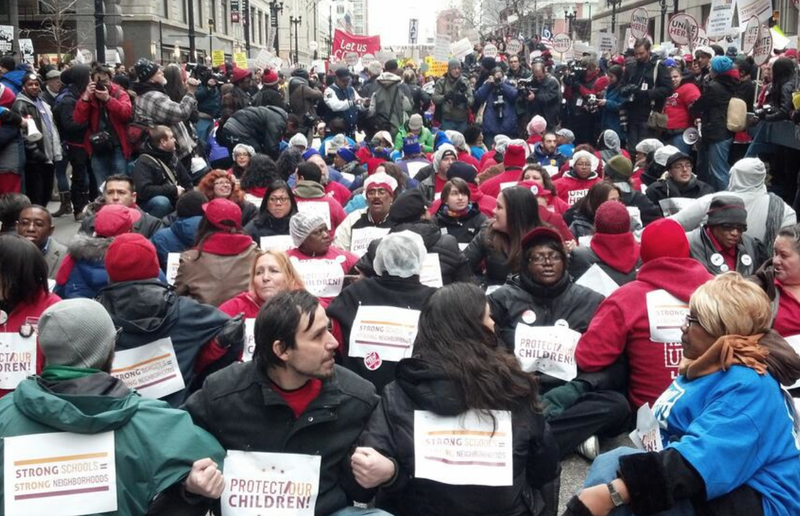 Mobilize teachers as a force in solidarity with students, parents, and community members to fight for educational justice and other issues that impact children and youth. 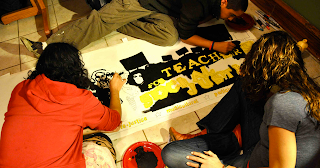 Work with others nationally to build a movement for educational justice and work with others to build a broad national and global movement for social justice. Confront racism, sexism, heterosexism, ableism, anti-immigrant and language discrimination, poverty, and all forms of oppression and exploitation within ourselves, our work, and our global society.